Good morning, my name is Haydn, I am a sophomore that has no plans after high school, and only recently discovered the joy of wings. 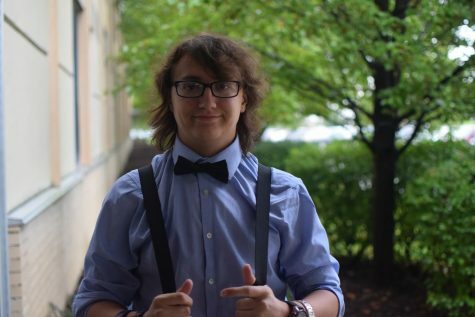 I am also a nerd, if the bowtie didn’t tip you off. I have no extracurricular activities, I also have a brother and two sisters. I like video games, Kit Kats, hot chocolate, french fries and I don’t like carrots… that's pretty much it. My favorite book is Under The Dome, I like oldies rock, my favorite movie series is Star Wars. And for another thought I don’t mind how people spell my name, spell it with an e, with no y, I don’t care. I also like to wear five watches. That’s all, thanks for reading.